At ALCOLOCK, we’re dedicated professionals who are passionate about developing and offering the best products and services possible. We’re not content with offering a single device or reselling an existing product line. Instead, we’re entirely committed to exploring every part of our industry and having control over the entire product development process. That way, we know exactly what our products can do and can ensure their quality is up to our standards. Over the years, we’ve established a reputation for being experts in our field. We’ve stayed at the top of the industry by developing a wide range of high-quality products that span the entire gamut, from lab equipment to devices that aid program facilitators to the breathalyzers and products the consumer uses throughout their program. The oval mouthpiece is one of the quality products we offer to help make the road to license reinstatement and independence as easy as possible. The oval mouthpiece is created from high-quality materials to help you obtain a comfortable, safe, and accurate reading from your device. When purchasing mouthpieces from ALCOLOCK, make sure that your chosen mouthpiece is a fit for the device you own. If you own more than one device, you may need two different mouthpieces. Be sure to use the mouthpiece as instructed for proper fit and an accurate reading. Always use a new mouthpiece for each test to avoid cross-contamination and to ensure a sterile and accurate sample. The oval mouthpiece is specifically designed to work with the testing devices listed below. Make sure that you’re purchasing the correct mouthpiece for your device. Mouthpieces come in sets of 25 with the option for a discount if you purchase in higher quantities. Our mouthpieces are designed for comfort and accuracy, so you’re guaranteed to have the best testing experience possible. Always follow directions and make sure to change out your mouthpiece as instructed to ensure sanitation and testing accuracy. The oval mouthpiece is compatible with the following devices. 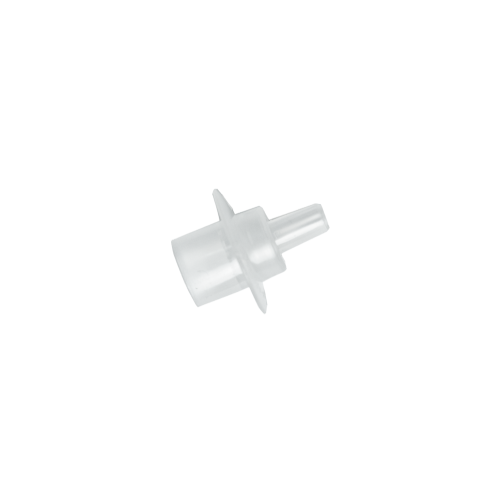 ALCOLOCK’s oval mouthpiece is just one of the many high-quality products and services we offer. Are you a driver looking for ways to more efficiently complete your program? Maybe you’re a service provider seeking to expand upon your existing line of product offerings to better serve your client base. No matter who you are, if you’re involved in the license reinstatement and ignition interlock process, we have many options that can help you reach your goals. Check out our shop for more outstanding products and services developed to help you succeed.